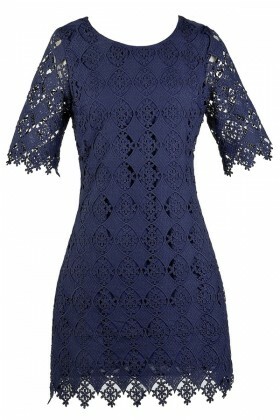 Blue dresses are a classic wardrobe staple, and with so many options to choose from there is a cut and shade for every woman! 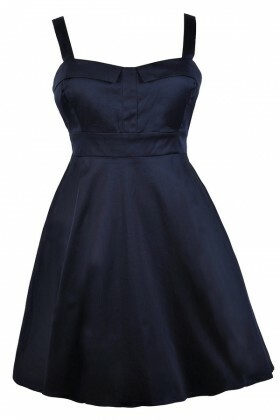 Choose from navy blue, royal blue, sky blue, or powder blue! 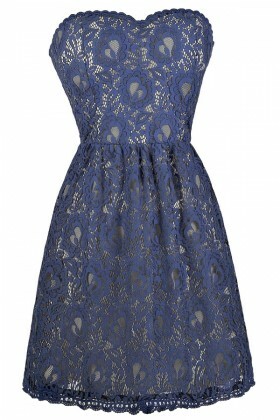 A lovely blue lace dress can be sweet and delicate or bright and bold, depending on the color you choose! 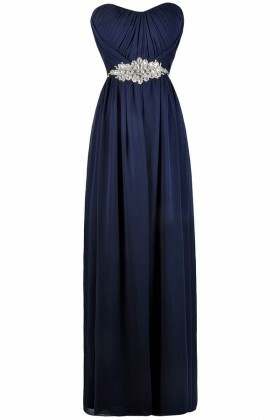 Blue is also a popular color for weddings. 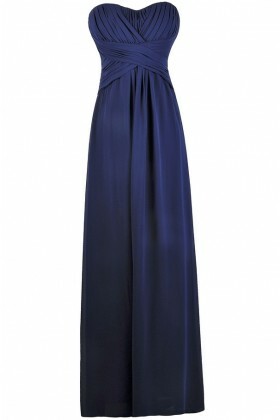 We have a great selection of blue bridesmaid dresses to choose from! 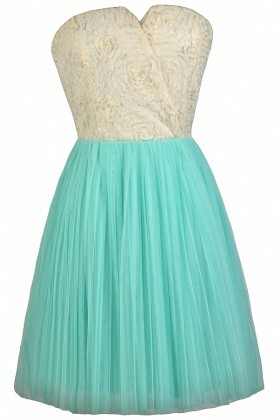 A pale sky blue bridesmaid dress is perfect in the Spring months. 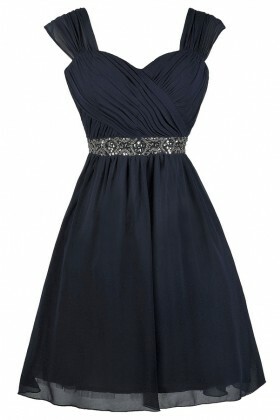 Navy bridesmaid dresses are a classic option that looks chic and sophisticated year round. 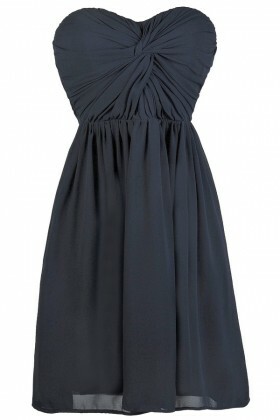 We also have a nice selection of casual blue dresses to choose from. 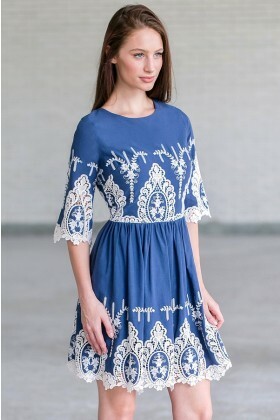 From blue party dresses that are perfect for Homecoming or semi-formal events to casual day dresses that are perfect for lazy summer days and nights, you'll find it here! 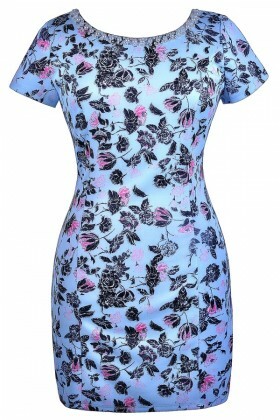 Some of our favorite looks are the blue printed dresses we have in stock. 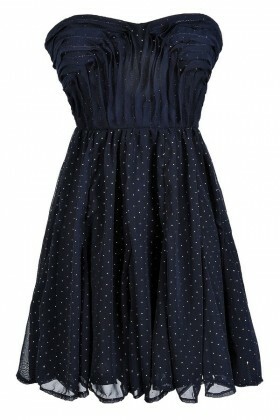 A classic blue and white striped dress is the perfect way to add a nautical touch to your summer or beach vacation. 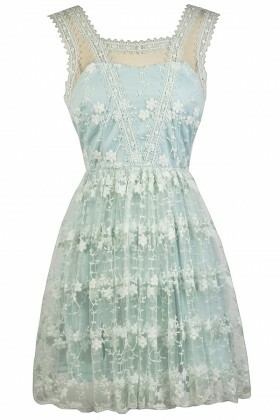 A gorgeous blue floral print maxi dress can be worn with beaded sandals and an oversized bag on the beach. 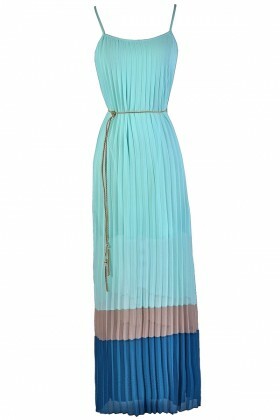 There's no limit to the looks you can create with all of these gorgeous blue dresses to choose from. 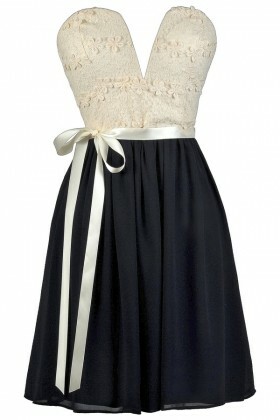 Shop these looks and get FREE shipping over $75 within the USA.